Our mission at RMR Development is to provide world class, custom software solutions to our customers. Our services can empower your business with information and communication efficiencies allowing you to gain a competitive advantage in your marketplace. Contact us today and get started on transforming your operation! 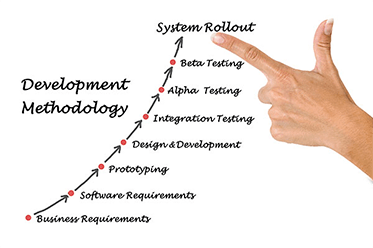 Custom software development solutions address the short comings of off the shelf solutions. Most people are familiar with off the shelf solutions like Microsoft Word or Quickbooks. These products address the needs of a vast group of customers all with the same needs and requirements. What do you do if off the shelf products don’t address all your requirements or actually make you less efficient? A properly designed custom solution will fill this gap. Our team of software engineers can take your requirements and create a solution tailored to your individual business needs. The resulting product will fit your processes like a glove allowing you to finally reap the efficiency benefits other software vendors promise and fail to deliver. At first glance a custom designed application may appear to be more expensive than something off the shelf. When it comes to making decisions on software purchases, businesses often focus on price first and the software benefits second. This is the wrong approach. The proper, custom solution MAY cost more up front but the final product creates efficiencies and the bonds between you and your suppliers and customers. This will save your organization money over time and allow you the capacity to increase your business, help you retain your existing customers, and give you a competitive advantage in getting new customers. How do I select a developer? There are a lot of factors that can affect the decision to select a custom software provider: cost, time lines, technologies, etc. While the overall cost of a package is usually not set in stone due to unforeseen complications and incomplete requirements, the provider should be able to provide you with a detailed project plan and estimate. RMR welcomes the opportunity to work with you to show how custom software can help your company and provide an appropriate ROI. Give us a call or email us from the information on our contact us page today and give us the opportunity to help improve your operations so your business can grow and flourish. If your business has a need to securely share information with your vendors, customers, and associates, RMR can help. With our many years of experience in developing web applications RMR can create a web portal that will securely share your data anytime, anywhere. Our talented team of programmers can design and brand your portal to your exact specifications. Using the latest in software development technology, your final product will be able to share your data securely and efficiently. We can build from the ground up or we can link to legacy systems, back office systems. spreadsheets, just about any form of data you use to manage your business. 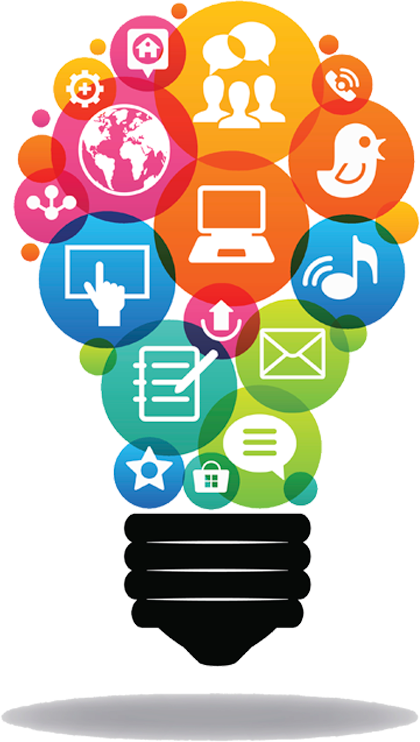 Once complete your web application will dramatically improve the operations of your organization. No longer will your customers need to contact your customer service department. Communications will flow with customers, vendors and associates. Your internal operations will run seamlessly and efficiently. Take a look at case studies from some of our existing customers to see how web applications can improve your business. make your data available anytime, anywhere, with any mobile device? access sales figures on the go? enter orders in the field? vastly expand the market in which to sell your products? access inventory information from anywhere on your shop floor? RMR will create a custom mobile application for your specific needs. We develop custom mobile applications for the iPhone and Android platforms. The result will put the most crucial pieces of your data at your fingertips or at the fingertips of your customers and suppliers. You will no longer be tethered to your desktop computer. Mobile device use has exploded in recent years! Why not use it to help your business by making your services and products available to your customers anytime and anywhere? Contact us today so we can create an affordable solution that will vastly improve your reach to your customers and make your employees and suppliers more efficient. RMR will develop your public website and integrate your data into a secure back-end. The result is a seamless image for your company, which eliminates waste and increases performance. The general public will see your website. Customers, vendors, or other select parties will be provided a username and password, which will allow them access to pertinent, secure information. 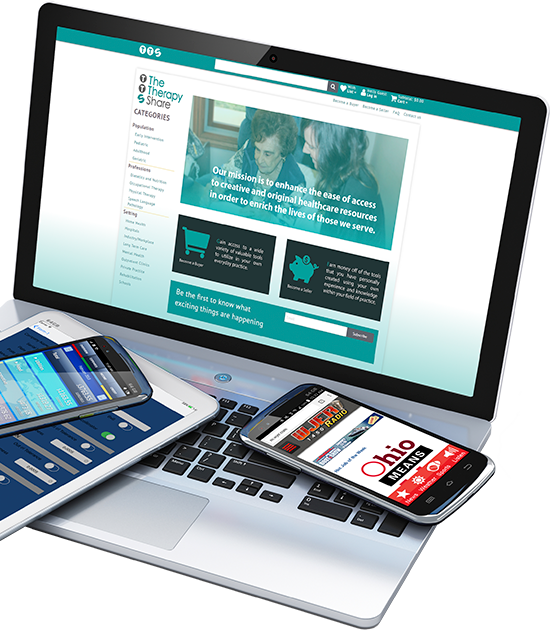 We can also create fully customized e-commerce solutions. Your website is your face to the public. In today’s age of mobile devices, mobile networks and information on the go, websites are and still remain your first point of contact with your customers and potential customers. Make sure it represents your business in the proper manner and it utilizes all available technologies to make business with your company easy and convenient. RMR is not an ordinary website development company. Our services allow your site to integrate with your back office, automate your customer service, and integrate voice, email, video and other forms of communication. Be careful of the claims of other website companies when considering a vendor. Other suppliers promise they provide high end solutions only to farm the work out to India or other off-shore development companies. RMR performs all their work in the U.S. with inhouse developers. Our shop is a turnkey solution for graphics, coding, and hosting all under one roof. This results in a site delivered on-time, on-budget and assures your code is of the highest quality dramatically lowering your risk of security breaches and other problems associated with off-shore development. Contact us today to see how our website solutions will make you look great and make doing business with your company easy and convenient. Take a look at this case study of how RMR was able to help WJER Radio. RockRMS is a church management system originally released in 2014. Since then it has gained in popularity and many of its installs manage the biggest churches in the country. It is community supported so it is affordable for your church big or small. RMR Development can assist your church with the planning, installation, hosting, data migration, training, customizations, graphical interface - basically everything you need to make RockRMS a success in your church's mission. Contact us today to discuss how we can help! Click here for a testimonial video. RMR's programmers have many, many years of experience working with a large number of platforms and technologies. If you have a custom software project that requires not-so-mainstream software or hardware, please contact us. We've helped many customers migrate systems from older platforms and we have written code for niche hardware. If it requires some type of software or database, we can probably help. Not only can RMR assist you with designing and coding your website, we can also help with making you visible on Google, Bing, Yahoo, and other popular search engines. Our monthly rates for SEO are affordable and our results will bring your message to more people seeking your products and services. Please contact us for more details. We understand you will have questions about how to improve your company operations using software. Technology is a daunting field and changes are happening faster than you can read this paragraph! How do you leverage technology to help your business without having to get a degree to understand what tools will work for you? Give the experts at RMR a call. For a modest consulting fee we can come in and assess your current business operations and make recommendations for technology and software improvements. And if you end up purchasing our solution(s) we generally refund the consulting fee. A lot of businesses have a database installed as part of their ERP, CRM, or accounting system. Management of that database can be a daunting task and as data accumulates you may find your database getting slower and slower. RMR can assist! Our developers have many years of experience with SQL Server, MySQL, and PostgreSQL. Don't tolerate slow performance anymore. Contact us today. RMR provides email and website hosting as part of our turnkey services. If you have an existing website or email service and are tired of outages or lack of customer service please contact us. Our hosting services are world class helping to make your website and email available around the clock and secure. Complete the form below and click send. Your comments will be sent to our office and forwarded to the appropriate person. We look forward to hearing from you! At RMR Development we pride ourselves in creating applications that are fault tolerate and bullet-proof. However in the world of technology there are a miriad of things that go wrong and while we may occasionally goof resulting in a bug or outage we stand by vigilantly to fix the problem as quickly as possible. Use the form below to alert us 24/7/365 in the event you need support and we will immediately get to work to resolve the issue. Once you hit send everyone capable of resolving your issue is immediately alerted. Someone will be in contact with you as soon as the issue is resolved, or if the issue is going to take some time to resolve, we will contact you with an estimated time frame. If you find yourself using this page we apologize and promise to get you back in business ASAP.